I’m still making my way through all of my purchases since the move. So it shouldn’t come as too much of a surprise to see a post about a Spring Collection when I should be posting about Fall Collections. I just felt this one was too pretty to skip over. 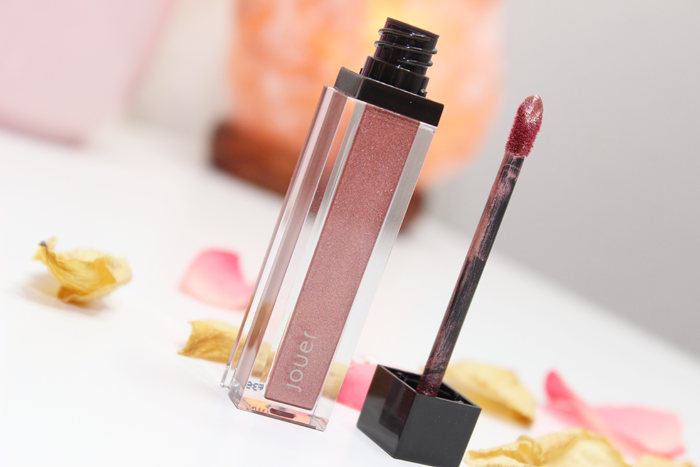 I was really tempted to purchase the entire Jouer Spring Collection, but after seeing swatches and reading reviews I settled on the Long-Wear Lip Creme Liquid Lipstick in Rose Gold and the Powder Highlighter also in Rose Gold. I know I said I wouldn’t purchase any more of Jouer’s liquid lipsticks because I just wasn’t a fan. 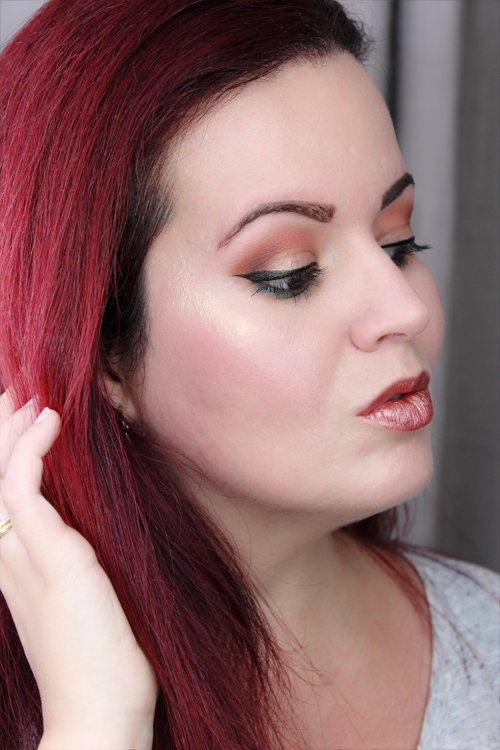 However, I did say that I loved the formula of the metallic shades. And Rose Gold is a metallic shade. It’s described as a metallic deep rose gold. It applied beautifully. It had the most wonderfully creamy texture. I really do love the way the metallic shades feel on my lips. They’re so comfortable! 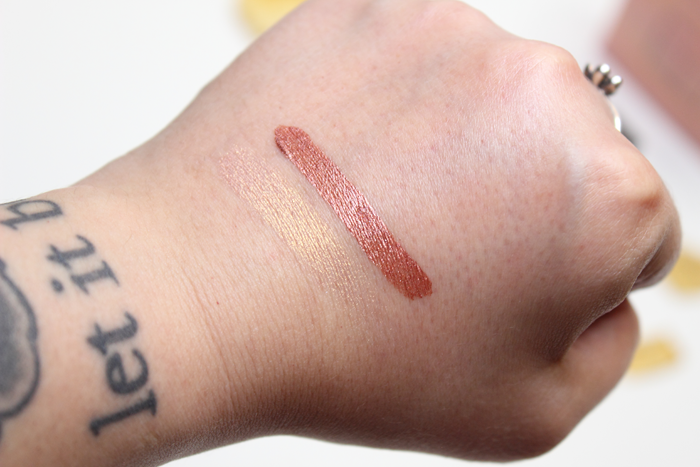 Thankfully this shade was a little more wearable than Praline. I think the real winner in this collection is the Powder Highlighter in Rose Gold. 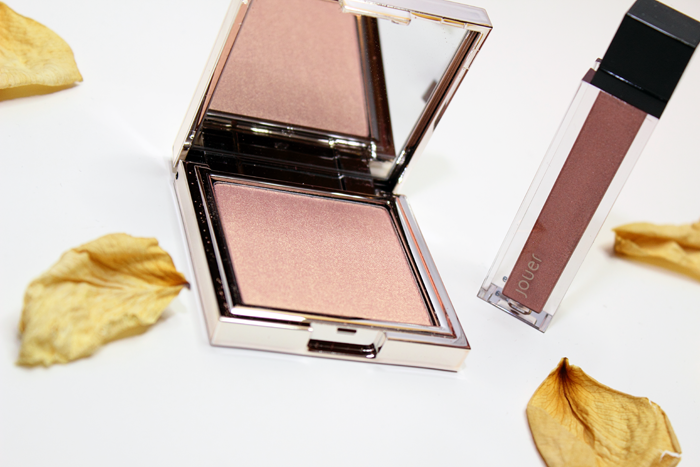 It’s the most beautiful shimmering rose gold shade! I had to move my hand around quite a bit just to capture the perfect shot. I’m never truly satisfied with my shots, but this time I believe I captured it perfectly. You can see the pretty gold at the bottom leading to the beautiful rose shade at the top of the swatch. This truly is a gorgeous highlighter. One I’ll be reaching for quite often. 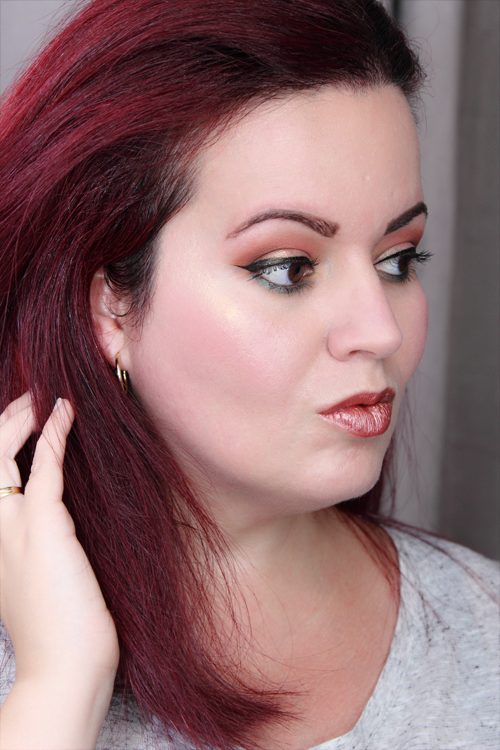 You can see the Long-Wear Lip Creme Liquid Lipstick and Powder Highlighter in Rose Gold in action below. 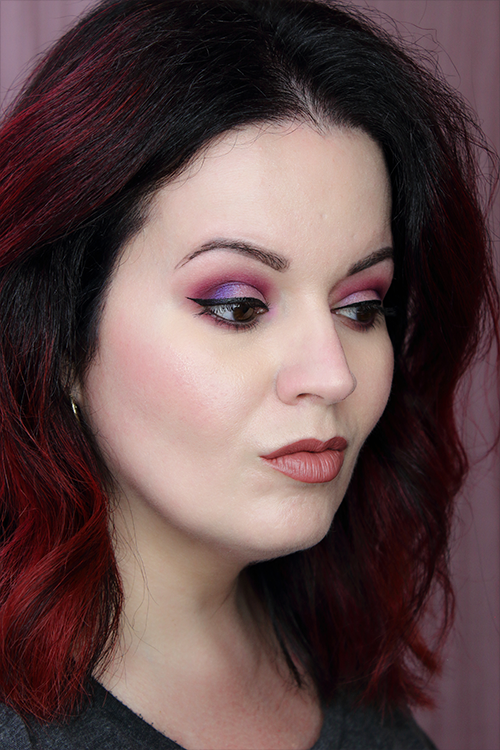 I’m not sure if you’ve been keeping up with It Cosmetics on social media, but man have they been on fire! 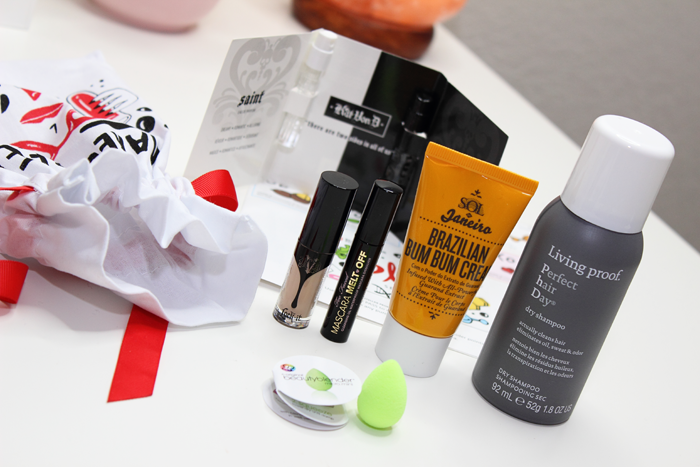 They introduced a whole Fall 2017 Must-Haves line up including some new and exciting products! Below I’ll list everything I received along with descriptions and my first impressions. I’m currently testing everything out. It’ll take me some time before I can write up proper reviews. 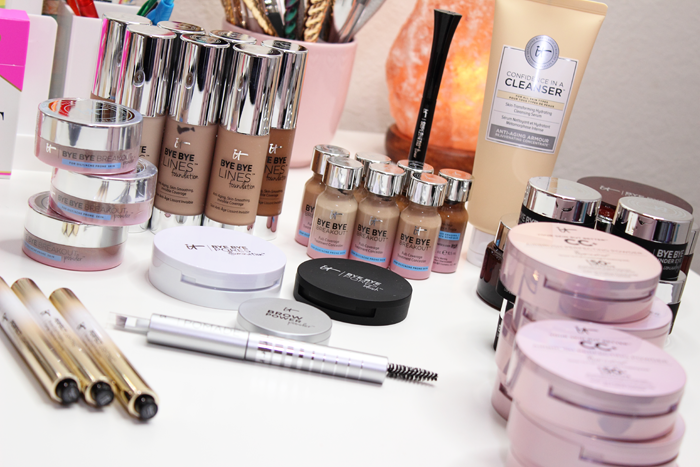 I’m also working on doing a full face using ALL It Cosmetics products! So be on the lookout for that later on this month. And if there’s anything you’re curious about, let me know in the comments and I’ll make that review a priority! Skin transforming hydrating cleansing serum that is suitable for all skin types. 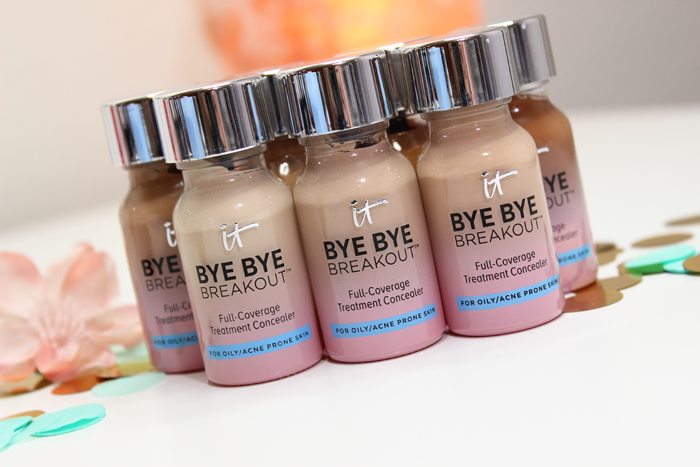 This formula melts away dirt, oil, and even makeup. It contains Anti-Aging Armour Rejuvenating Concentrate to help your skin look rejuvenated while restoring moisture. It also contains collagen and hyaluronic acid to plump the appearance of lines and wrinkles instantly. I’ve used this a few times since receiving it. So far I think this is my favorite product from the line up. I did detect a faint citrusy scent, but it wasn’t bothersome. I found it to be nice and refreshing. It did a great job at removing my makeup all while being gentle on my super sensitive skin. I didn’t notice much about the lines and wrinkles, but I wasn’t really paying much attention. I wanted to make sure it played nice with my sensitive skin. My skin was left feeling soft and had a subtle glow. The weird thing is that my redness was evened out. Usually my cheeks are left rosy after washing off my makeup. 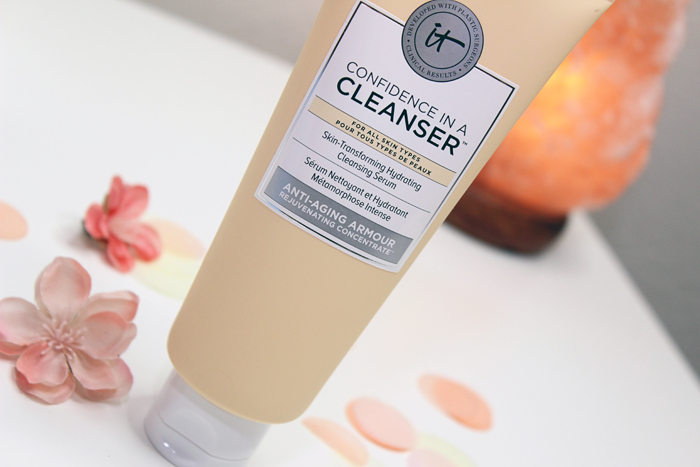 That wasn’t the case with this cleanser. I’m wondering if the oatmeal and/or aloe helped to soothe it? Either way it was a very nice surprise. 24 hour waterproof easy glide liquid gel super liner in the shade Super Black! Contains lash enhancing peptides, collagen, and keratin along with kaolin clay to absorb oil on lids for long lasting wear. I tried this out the day after receiving it. It glided onto my lids effortlessly. It created one heck of a wing too! The fine tip helps with precise lining. And it really is long lasting. The only issues I experienced was removal. It’s a bit difficult to remove. Other than that I’m liking it so far! 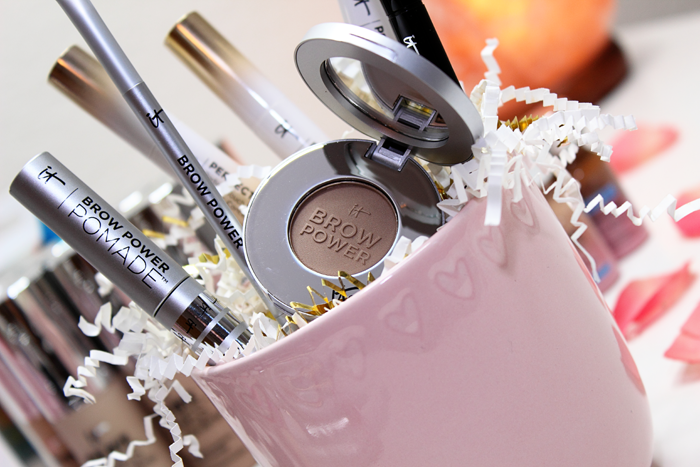 Brow Power Powder comes in just one shade and that’s Universal Transforming Taupe. The Brow Power Technology is said to transform to all hair colors based on pressure. It’s also waterproof! 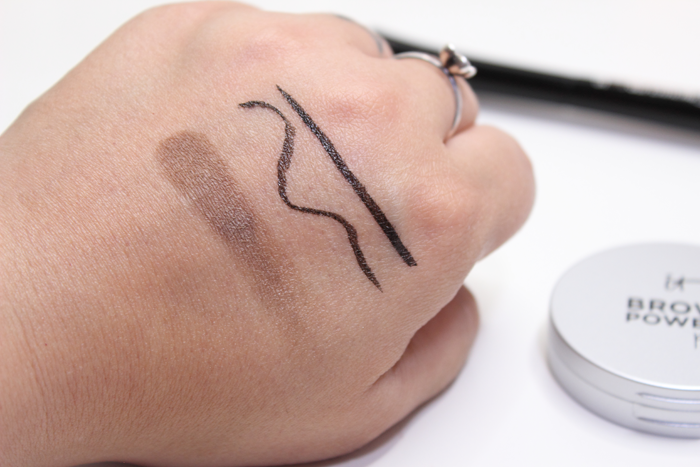 Unlike other brow products, I found the texture of this one to be really soft and buttery. It applied beautifully. 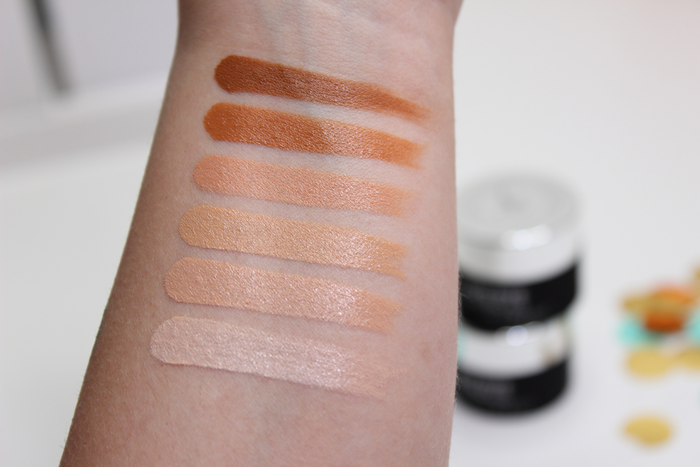 I’m not sure how the universal taupe will work for EVERYONE, but I personally liked it. I love experimenting with makeup, but come on, I’m no brow expert. I know my brows need help. I’m always afraid of overdoing it and end up missing the mark most times. But I felt confident with this powder. I really liked the outcome. I might just move this on over into my daily essentials drawer. The brush is also quite nice. The spoolie is nice and soft. I felt like it was more gentle on my brows. The brush tip is a little thicker than I’d like, but I have a feeling that ended up working in my favor. 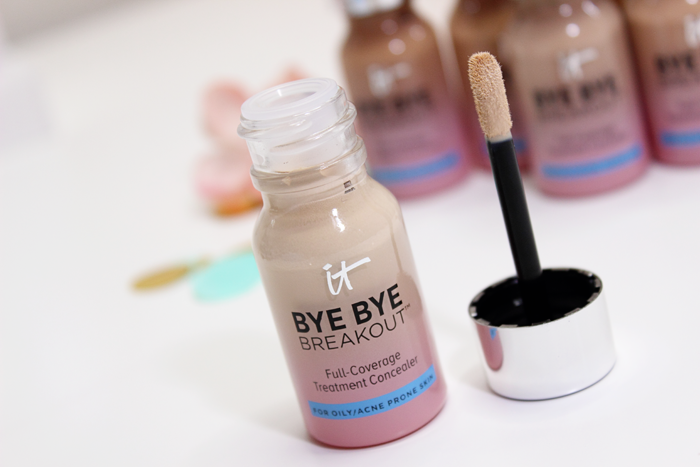 4-in-1 formula that acts as a brow gel, brow lifting mousse, brow sculpting pomade, and brow defining brush applicator. 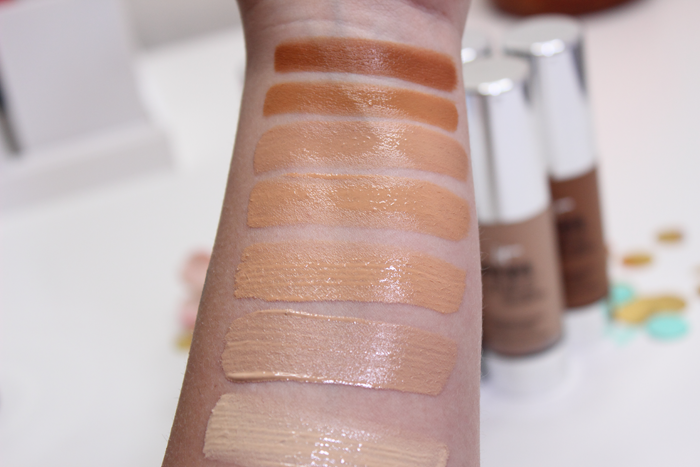 Weightless, smoothing, complete coverage concealer. Contains anti-aging hydrolyzed collagen, peptides, hyaluronic acid, and antioxidants. Claims to be lightweight and long lasting. 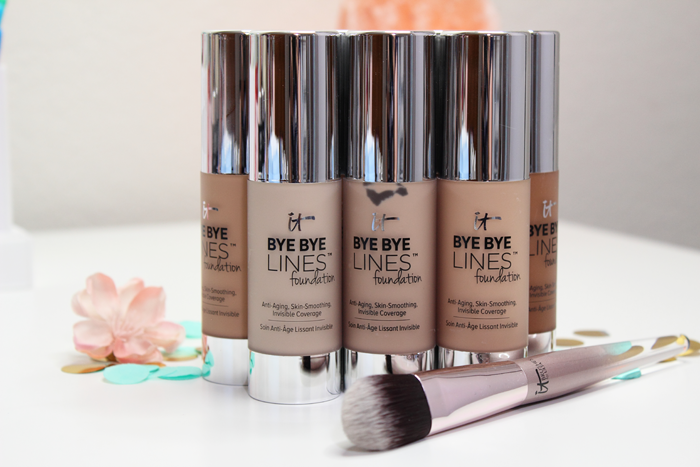 Full coverage treatment concealer that claims to make your blemishes disappear! Acts as a drying lotion and concealer in one! This longwear formula claims to conceal, cover, and treat acne prone skin with tea tree, sulfur, witch hazel, and a gentle AHA/BHA complex. 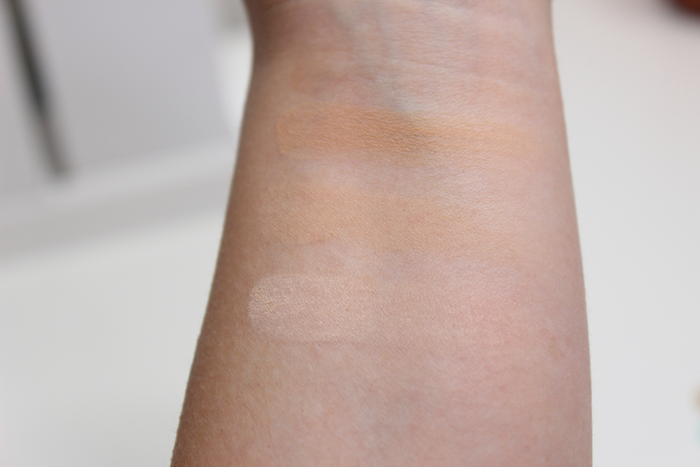 Blemish minimizing weightless finishing veil. 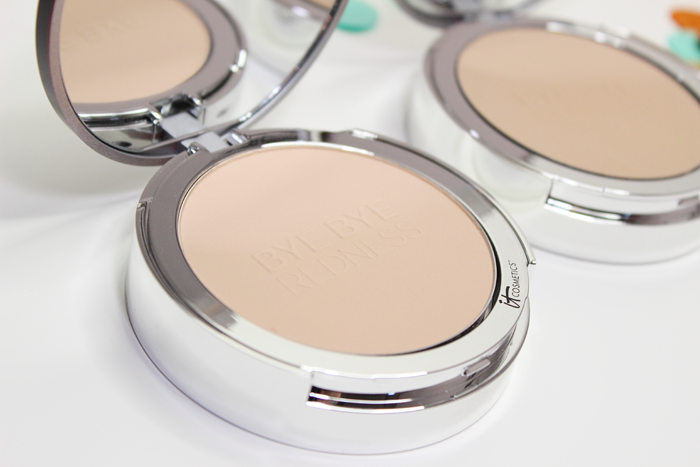 Minimizes shine and works to improve the look of blemishes. Talc free formula claims to not settle into lines or pores. Helps soothe acne prone skin with tea tree, sulfur, witch hazel, and a gentle AHA/BHA complex. Anti-aging, skin smoothing, invisible coverage. Covers the look of imperfections while lifting and diffusing the appearance of fine lines and wrinkles. Contains anti-aging hydrolyzed collagen, peptides, caviar extract, organ oil, and vitamins. 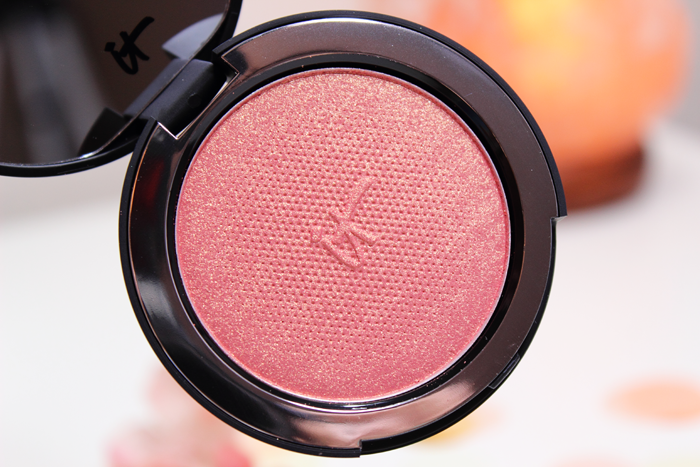 Also contains Drop of Light Optical Blurring Technology for a luminous, flawless looking finish. 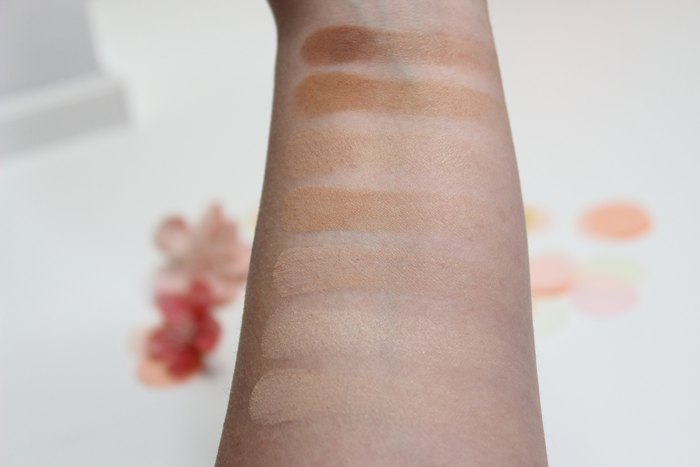 Correct, conceal, and brighten! 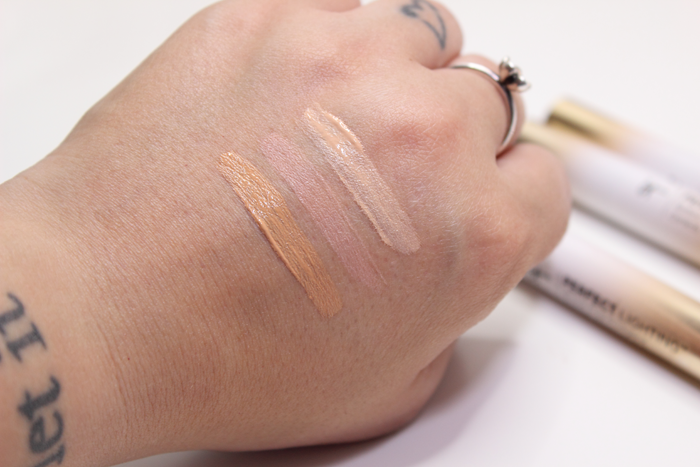 2-in-1 concealer and correcting brightener that delivers instant coverage, radiance, and lift. These are very pretty and I love the packaging! But the clickable wands gave me so much trouble. Most of them do. I really wish this came in a tube with a wand applicator instead. The clickable wand either dispenses too little product or too much product. I found it to be more trouble than anything. Which is too bad because they’re really pretty! Sheer to full coverage finishing veil. 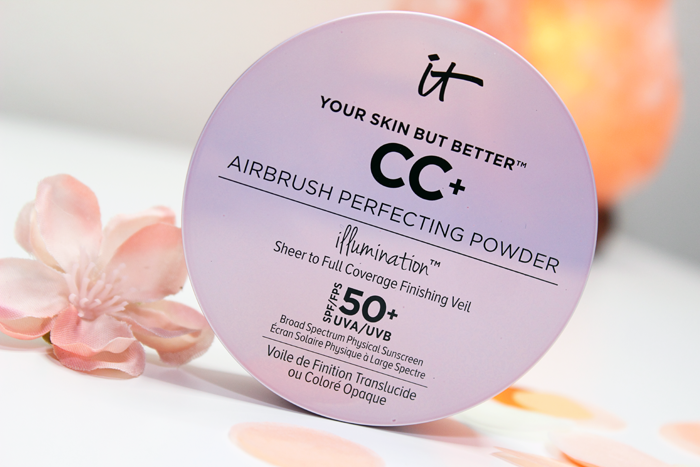 Contains SPF 50+ and infused with subtle radiance for a lift from within finish without the glitter and shimmer! 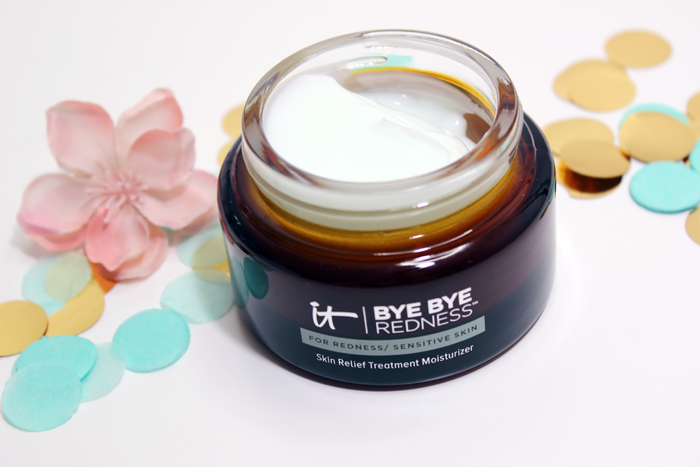 Redness relieving moisturizer that neutralizes, soothes, and transforms the look of skin. Suitable for AM and PM. Anti-aging, contains colloidal oatmeal, aloe, cucumber, turmeric, collagen, and peptides. I haven’t tried this yet, but plan to ASAP! The only thing I can say is that it’s rich and creamy and I didn’t detect a scent. Skincare cream that covers the look of redness. Anti-aging, contains colloidal oatmeal, aloe, turmeric, collagen, and peptides. Comes in 2 new shades! 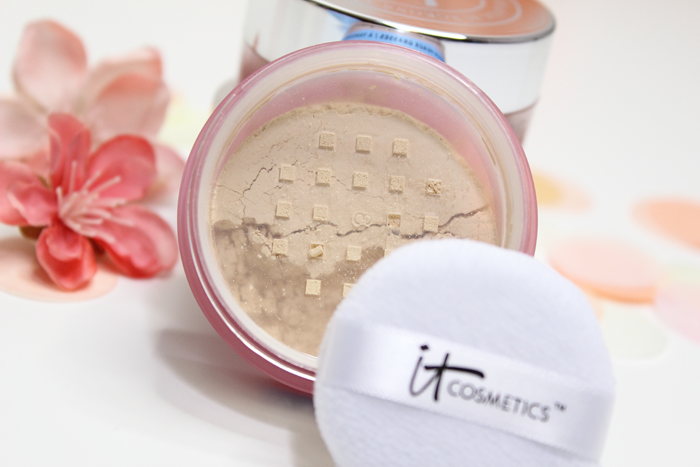 All in one powder minimizes the look of redness while covering and perfecting the look of skin. 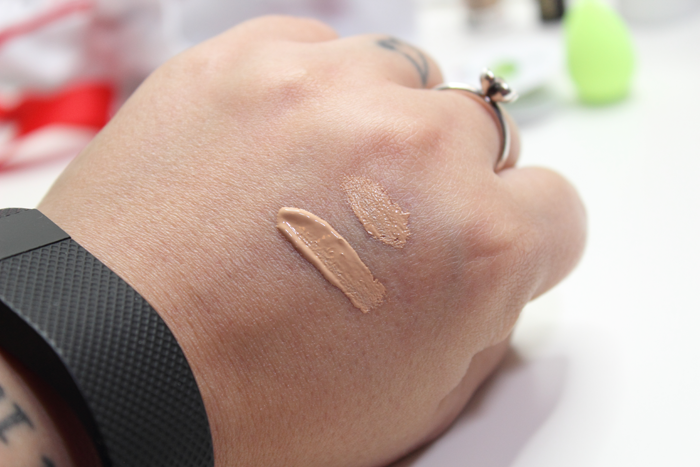 Buildable sheer to full coverage formula. 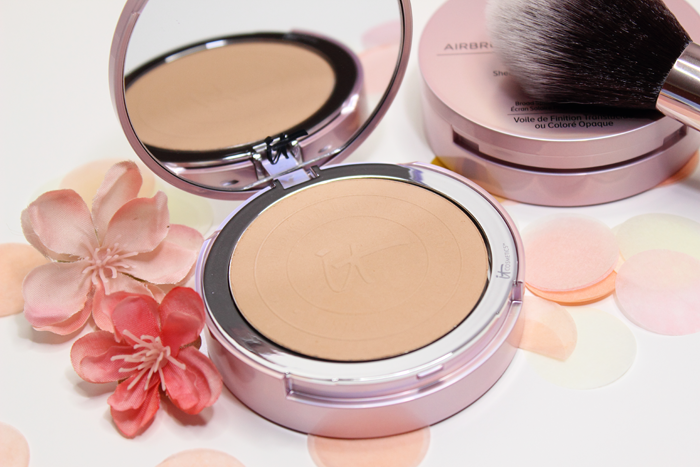 Poreless finish airbrush pressed powder. 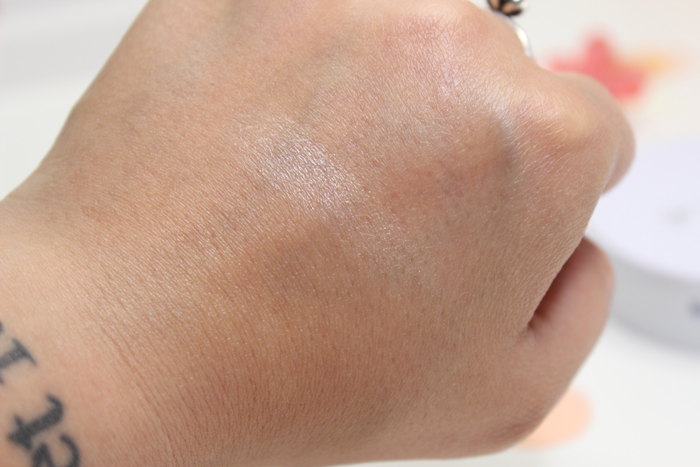 Drops of Light Technology illuminates your skin without the glitter or shimmer! 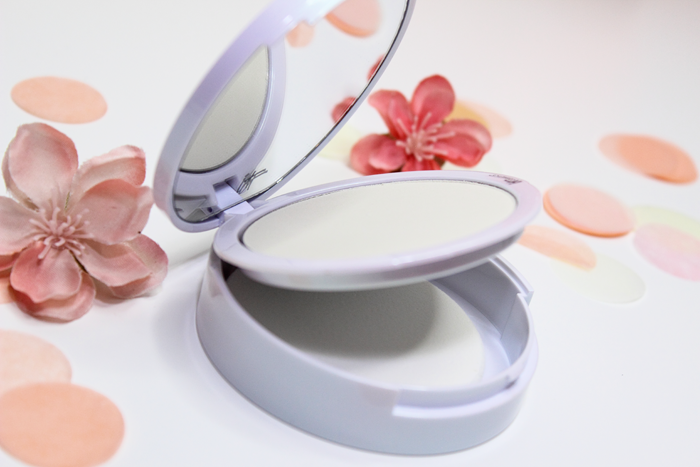 Poreless finish airbrush brightening blush! Claims to make the look of pores disappear! 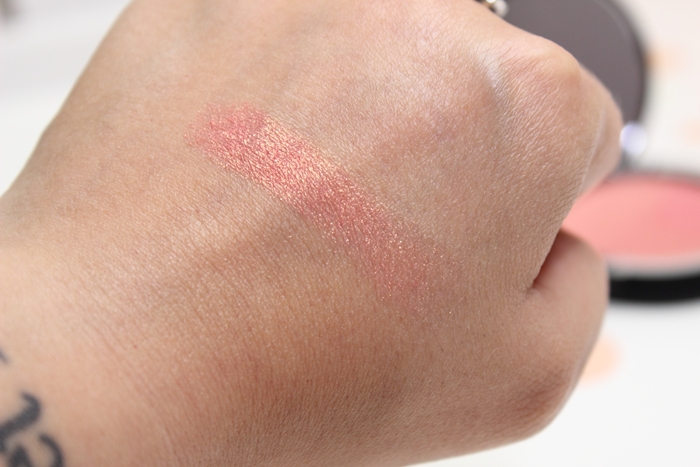 The new shade Sweet Cheeks is gorgeous! It applies and blends beautifully. 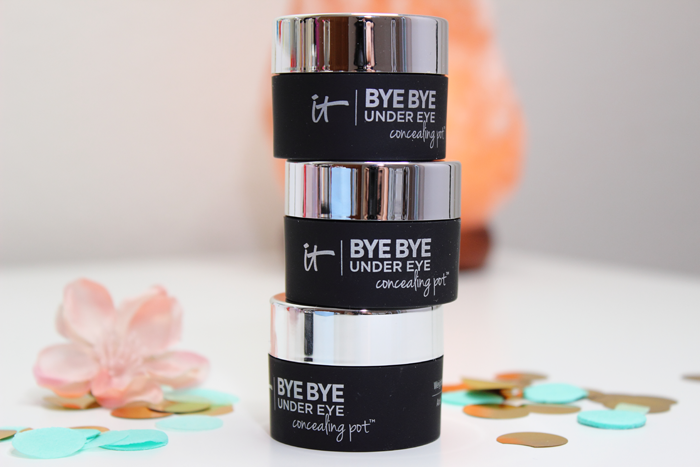 These items are available now online at itcosmetics.com and ulta.com.